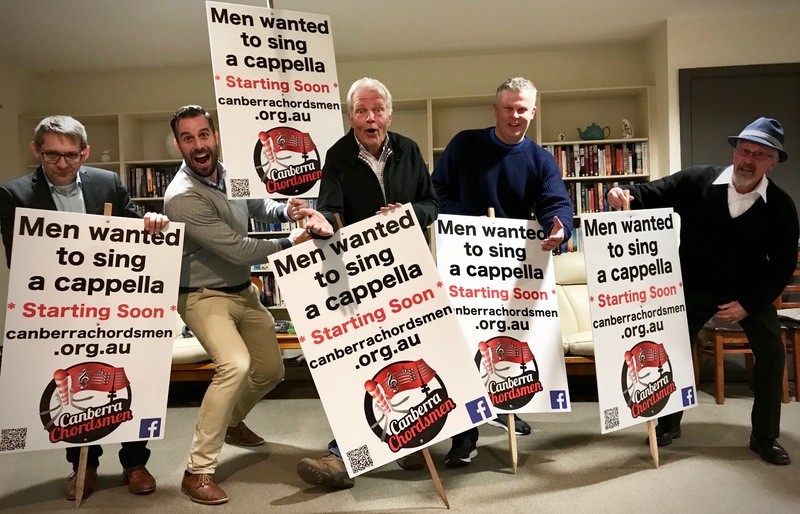 Canberra Chordsmen | Sing With Us! When: Weekly from Tuesday 30 April 2019 to 28 May 2019. Please arrive by 6:45pm for a 7pm start. Where: Taylor Primary School, Marconi Crescent, Kambah. Fee: $40 cash. Payable on the second night. The final session will include an opportunity to apply your new skills in a public performance for friends and family. You don't need to be able to read sheet music but you do need to be able to hold a tune; we'll do the rest! The first night is free, followed by a single cost of $40 for the remaining four nights, payable on the second night. Please arrive by 6:45pm for a 7pm start on the first night and try to remember to bring a water bottle as singing is thirsty work! If you'd like to continue singing with us after that (and who wouldn't! ), you will need to pass a singing audition using the songs you learn during the programme. You'll record yourself singing in the chorus which will be assessed by our music team for quality and accuracy. You'll be given valuable feedback on strengths and weaknesses and if you work hard we'd love to have you as a member! As a member, you'll have access to our current repertoire and learning materials and be expected to regularly practice in your own time and attend rehearsals. You'll enjoy expert tuition from our musical directors that will improve your vocal abilities as an individual and also as part of our chorus. We rehearse on Tuesdays every week of the year except for a few weeks over the end of the year.